on a laptop or playing video games. Durable, safe and easy to clean. that the beanbags hold their shape. space both indoors and out. 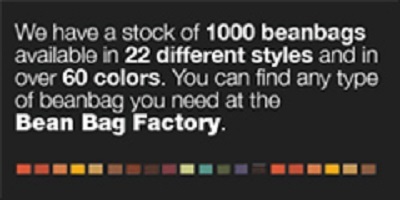 We at the Bean Bag Factory believe that our chairs are The Best in the World. It seems that Chapters Indigo, Kraft Foods, The University of Toronto, Pepsi, TIFF, Fido Phone, BELL, Atlantis Hotel ‘n’ Resort and many more of our clients agree. 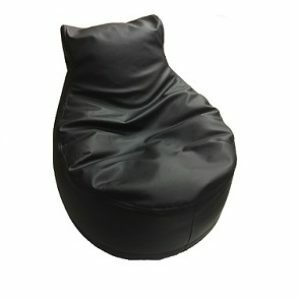 That is why they have chosen Beanbag Factory chairs to create their comfortable lounge seating. 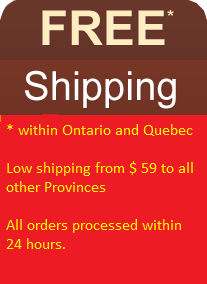 Our chairs are Made in Canada for YOU – they fit your unique body type perfectly whether you are a child or adult. These chairs are your strongest most durable best friends who always welcome you with a warm hug. Just like a best friend – BBF beanbags are there to support you, whenever and where ever you need them. You can make a BBF chill out lounge anywhere, anytime and invite all your friends and family to enjoy it. Enjoy superior comfort and sophisticated design. Beanbag chairs were designed like a flower with a centre circle and 6 petals to represent the days of Flower Power. Beanbag chairs help children with autism as they work on the “sensory pressure” principle. 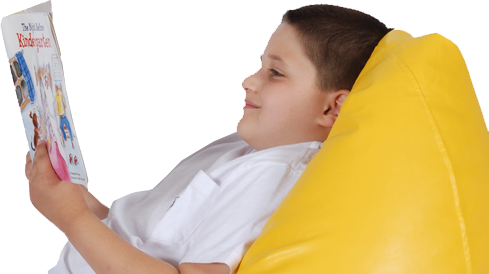 Beanbag chairs are recommended in recovery for children suffering from hip dysplasia or in body casts. Beanbag chairs work as great seats to help patients relax in after brain surgery. 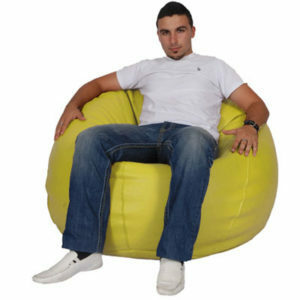 Beanbag chairs are ergonomic in design and can be filled up to be more firm to support the spine and prevent backache. 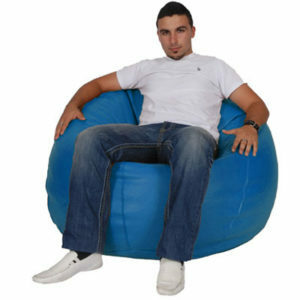 Beanbag chairs are light and easy to carry around from room to room or for both indoors and out. 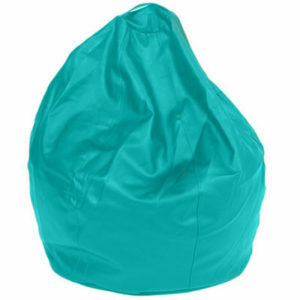 Beanbag chairs are perfect seats for schools, universities and hospitals as they are easy to stack, clean and sanitize. My Kids love their bean bags(and their bean bag T-shirts!). They use it all the time to watch TV and I will be in soon to pick up 2 more small ones for their bedrooms! I bought Nirvana Violet for my 9 year old for the rec room. She is delighted with it. It is light, easy to move and is very comfortable (to our surprise!) It can sit 3 nine year olds side by side when folded into couch mode, and 2 in every other mode. 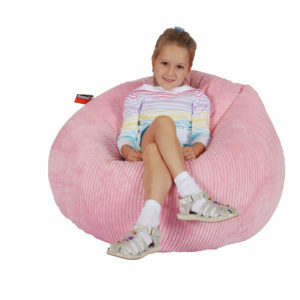 In a semi-reclined position, it is very comfortable for an adult to watch TV and can easily fit a kid beside the adult. The cover is a nice non-sticky vinyl. Brand new (we've had it for 2 days) the cover has a slight vinyl smell. I am very glad I didn't get a smaller one because this is a great size. Despite being large enough to be comfortable, it tucks away in a corner pretty conveniently (we can stand it against the wall behind a curtain). And I got it two business days after I ordered it! Would definitely buy again.